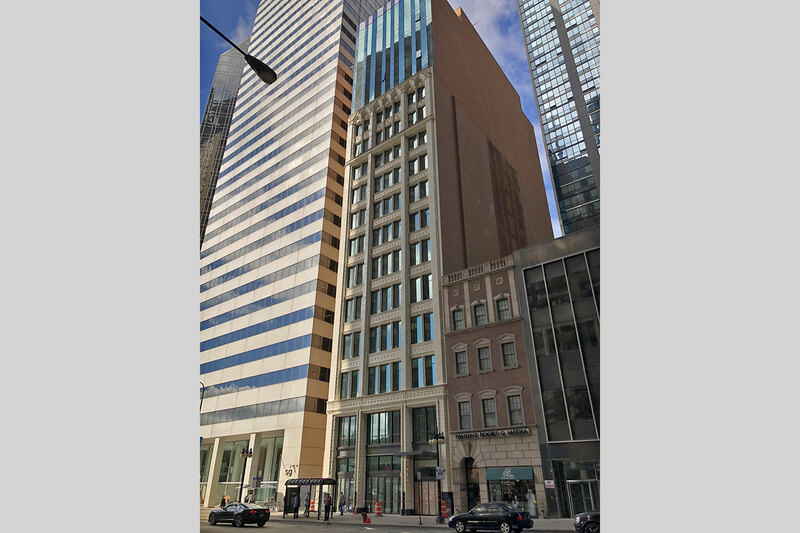 Our team was contracted by Hirsch|MPG Architects to provide focused levels of expertise on the Chicago hotel project developed by Oxford Capital Group. 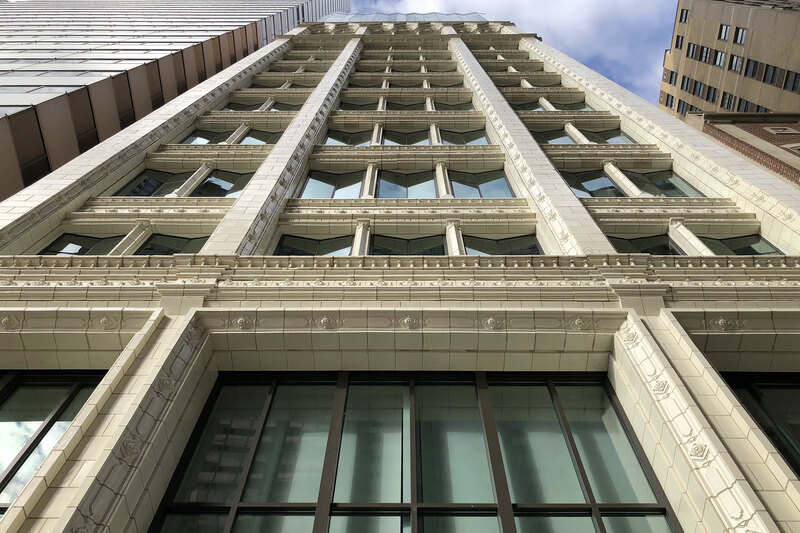 The project converted the long defunct, 12-story 1917 Federal Life Building into a 17-story boutique hotel. 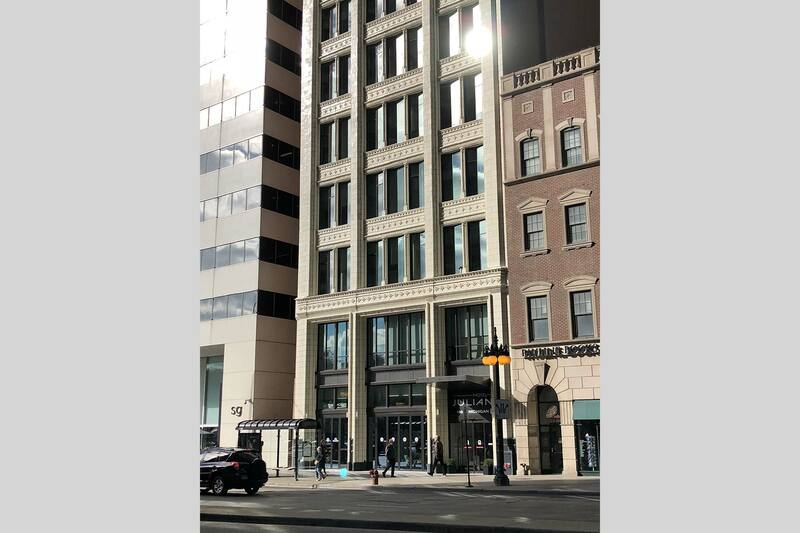 This entailed the complex process of adding five additional floors to the structure. 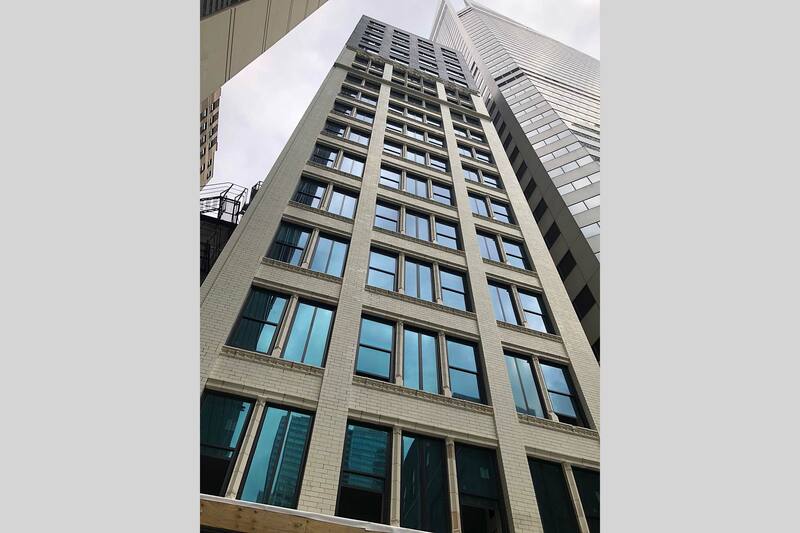 NWD’s responsibilities included the design of the building's core, curtain wall, and windows. 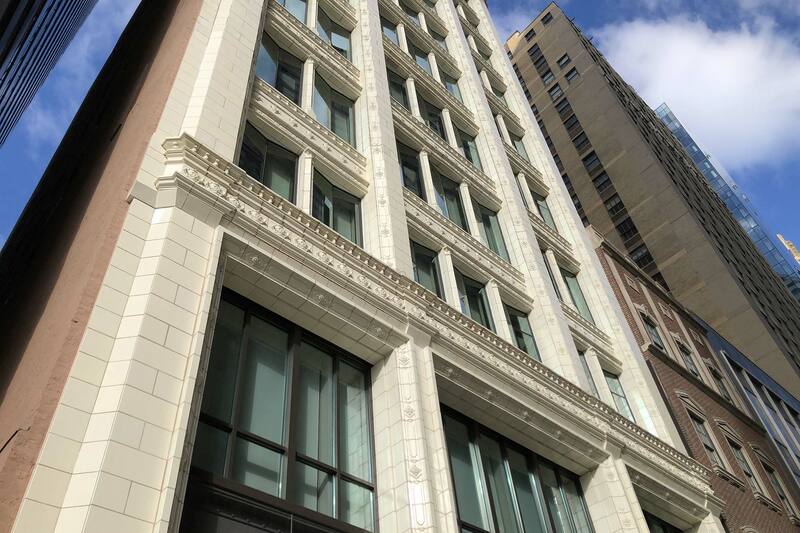 NWD served as a consultant on the exterior terra cotta restoration. 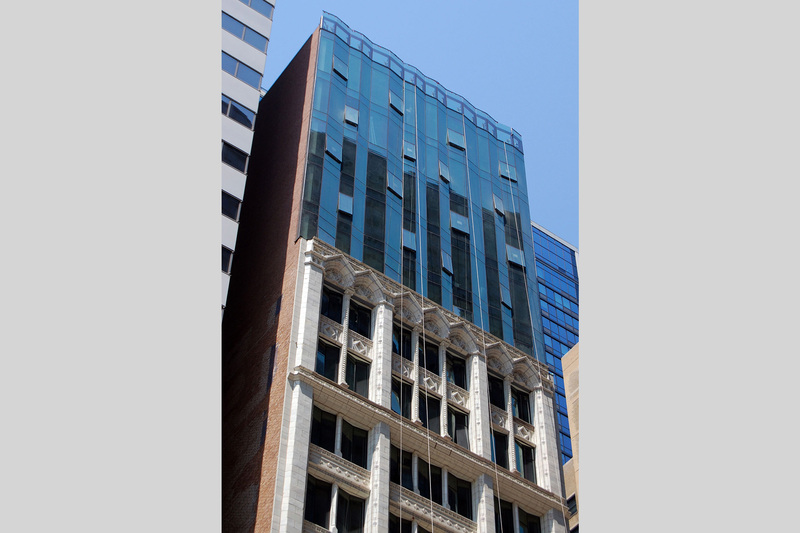 The new faceted 5-story curtain wall sits atop the building’s original terra cotta skin. The west windows are faceted to match the folds of the upper glass wall. The terra cotta facades were in a severely deteriorated condition which meant the replication and replacement of hundreds of pieces of terra cotta. The core utilizes a complex 3-run steel stair to achieve egress that integrates with the building’s unusual 13’-0” floor-to-floor height.